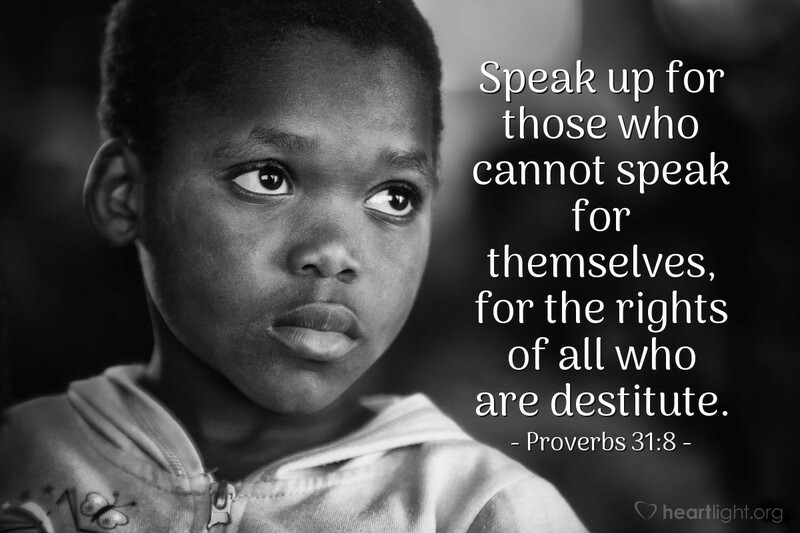 Christians in every era are called to defend the rights of the weak, speak up for the disenfranchised, and protect the life of those who are vulnerable. This comprehensive call is the great reminder that the blessings, rights, wealth, and power we may have is not ours alone; it is a gift from God to be used to bless those who have no power to speak, to defend, or to protect themselves. Father, rouse in your people, rouse in me, a passion to stand up for those who are vulnerable to abuse, to abandonment, and to attack. Please use us, and especially Father, please use me, to be a redemptive force in the time and the circle of influence in which I live. In Jesus' name I pray. Amen.